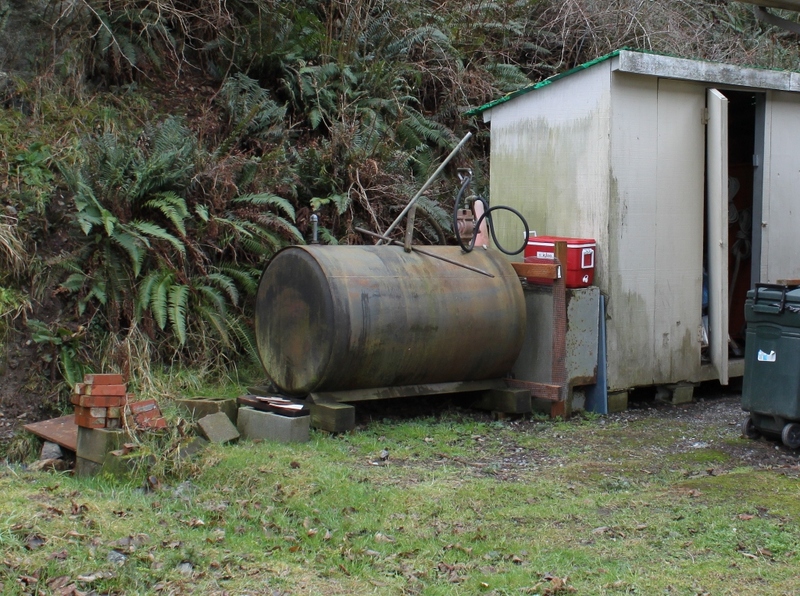 That’s the old oil tank. It held the fuel that fed our dilapidated furnace. It had no redeeming qualities. It weighed about 600 pounds when empty and Zeus only knows what when full. Yeah, now we know how Frodo felt when he finally got rid of the Ring of Doom. Seriously it is like a huge weight lifted off our minds, something far heavier than steel and hundreds of gallons of diesel fuel. The plants back there may look a little dead, but you’ll be surprised how rapidly the earth takes it back and makes it lush and verdant again. It’ll soon look fine. Now that the tank is gone, the healing process can get underway. This was kind of the last domino before we could start landscaping. I couldn’t finish the shed with the tank in the way. Now that it’s gone, I can work on that ugly shed, lay down a brick patio, put up some deer fence and make a nice courtyard garden. 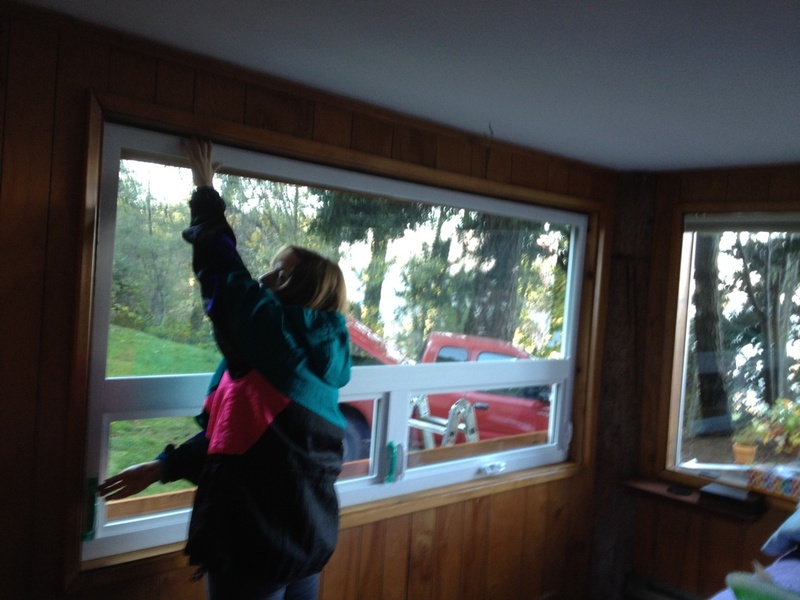 Project: Install two vinyl replacement windows, replacing 20 year old aluminum sliders. As always, we’ll start with the Before Picture. The window to be replaced is at the corner of the house. There is another just like it on the opposite side. August 3rd. Decide to place order with vendor for two vinyl replacement windows. Need the exact measurements for the rough opening. August 15th. Measure the opening. Realize that there’s no way to really tell the exact measurement until the existing windows are out. 7:20 p.m. Do a little surgery. Peel back the paneling and trim pieces to see where the studs are. Measure again. 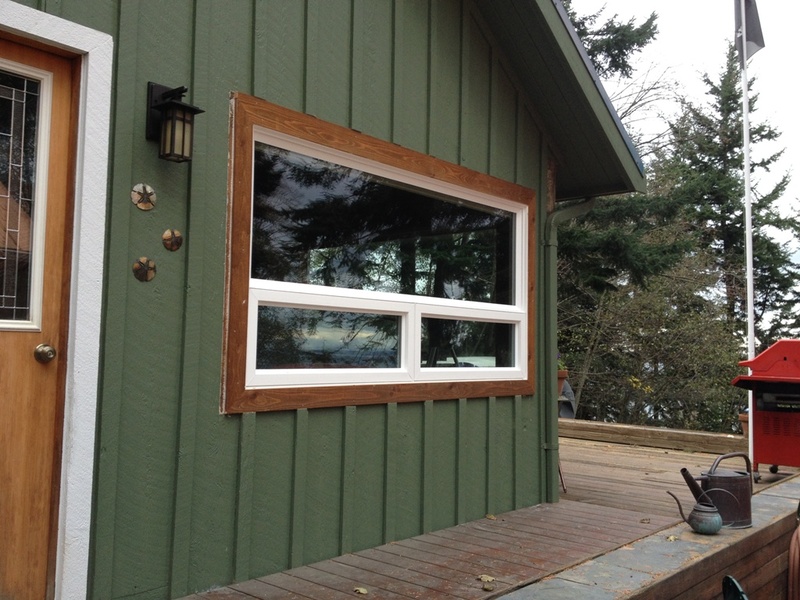 Realize how poorly the existing windows are installed. August 20th. Place order for windows. Once the windows are ready, they will be on the truck the next time it comes over to the island, which could be weeks. September 3rd. Windows arrive. Decide what corner of the garage I want them in. Instruct deliverymen to set them there. 12:22 p.m. Change mind about where I want the windows. Move them myself to the opposite corner. October 4th. Stare at the windows in my garage and realize they’ve been sitting there for several weeks and I haven’t installed them yet. October 12th. Begin collecting materials and hardware I will need for the window install. Make a shopping list. October 13th. Buy half the stuff on the shopping list. The hardware store didn’t have the other half of the stuff. October 19th. 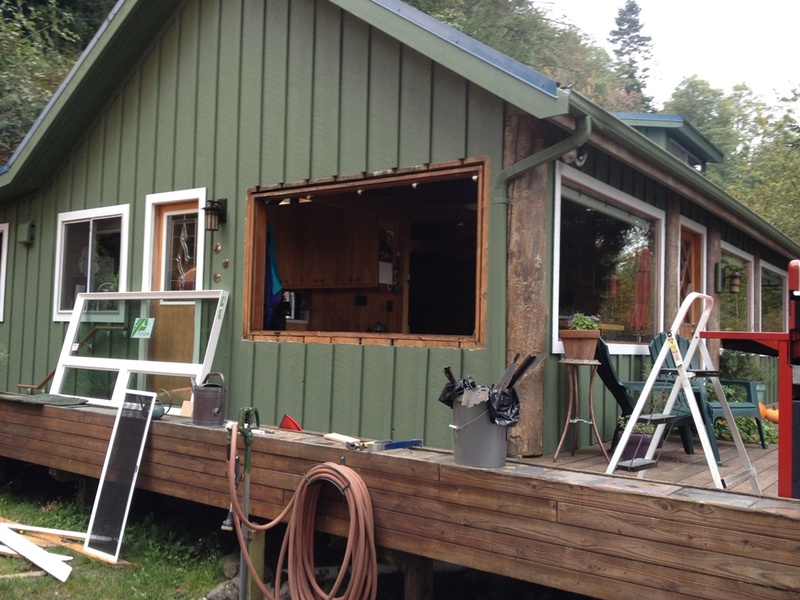 Take out dining area window and begin the install. 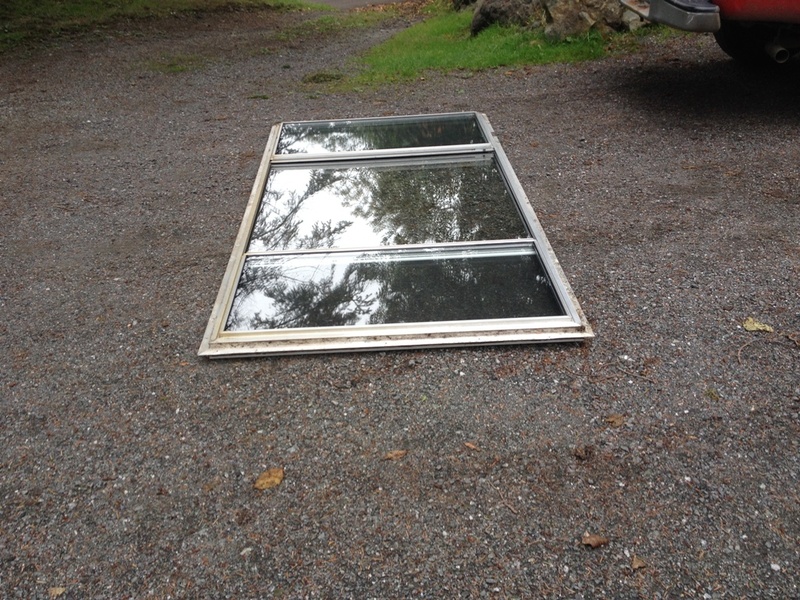 Take old window to the dump and pay $18 to dispose of it. Buy more supplies at hardware store. 2:25 p.m. Since we let the new windows sit in the garage for so long, all the adhesive labels and packaging have pretty much cured themselves to the surface, and now require a straight razor to scrape them off. 7:17 p.m. Realize I’m not going to finish the window install today. 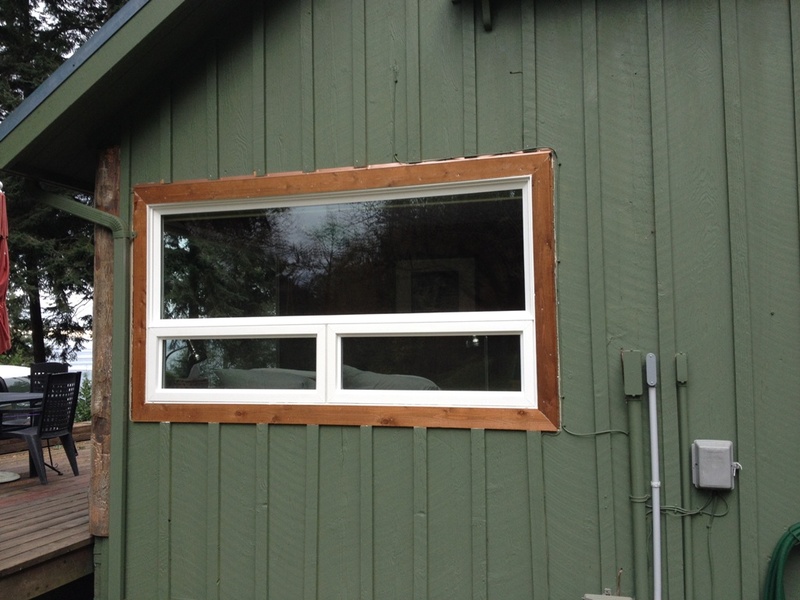 The window is in but there are ¼” to ½” gaps around it that let cold air in. Put masking tape over the gaps, which seems to be better insulation than the old windows. October 20th. Finish dining room install. Very tired. Decide to tackle the bedroom window next weekend. October 26th. It’s next weekend. Tired from a long week at work. Decide to install the bedroom window tomorrow as I can probably knock it out in a day. October 27th. Decide that I don’t want to start the install on a Sunday in case I need the next day to finish it. It’s the bedroom so I can’t leave it unfinished for long. October 30th. Buy more rough cedar trim pieces and decide to treat them with Sikkens before I nail them in place. Open the lid to the can of Sikkens and discover it’s turned into a gelid cylinder of toxic waste. Realize that the local hardware stores here don’t sell Sikkens. Ask Jamie to get some next time she’s off island. 6:02 p.m. Wonder how to legally dispose of the old can of Sikkens. November 2nd. It’s the following weekend. Poured rain all day, so could not install bedroom window. November 3rd. Got an early start and took out old bedroom window. Got the new window in place and sealed up. 3:00 p.m. Started installing the trim pieces, which turned out to be more laborious as the bedroom window is located further away from my table saw than the living room window was. So there was a lot of running back and forth to get things cut to the correct length. 4:00 p.m. It’s getting dark, and I still need to install the flashing and the top trim piece. It’s tricky, because it has to fit like a puzzle, except the puzzle pieces are nine feet long and one of them is a sharp piece of metal, and you’re assembling the puzzle while standing on a ladder on uneven ground in the dark. 4:15 p.m. Not enough light to see. I have my truck’s headlights pointed at the window but it’s still not enough light. Hold flashlight between my teeth to see. 4:20 p.m. Realize I haven’t eaten all day. And the flashing is stuck on something I can’t see. 4:30 p.m. Have to call it quits without the flashing installed and without the top trim piece caulked. Left it in there with a couple nails. It’s not waterproof, and the forecast calls for rain for the next ten days straight. November 4th. Staple a piece of plastic over the top of the window to keep the rain out. November 9th. It’s a three day weekend so I should have plenty of time to get the flashing in and that last trim piece weatherproofed. November 10th. Had to go to the mainland. Got home late, grumpy and tired. November 11th. Go to a wedding. Entire weekend went by and I never worked on the window. November 16th. Decide today is the day to finish the install. Removed the stupid piece of plastic and got it ready for the flashing and the last trim piece. 10:30 a.m. 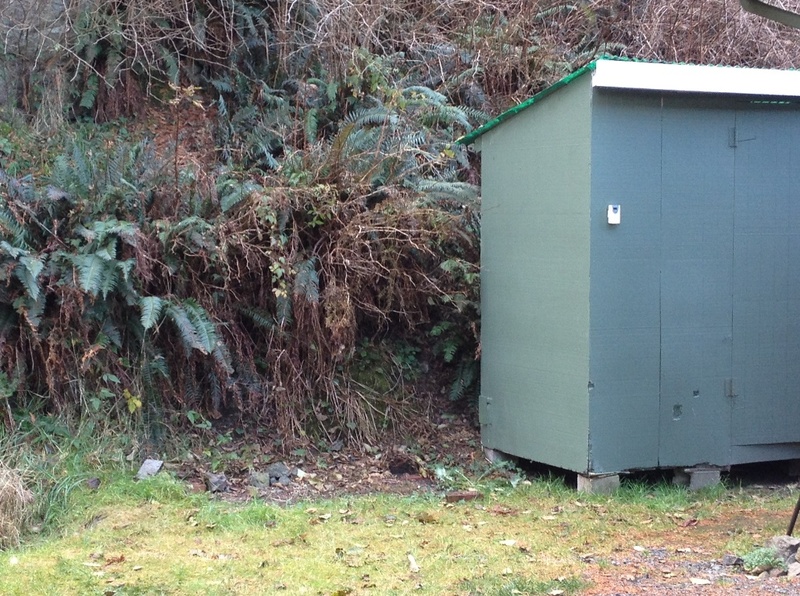 The flashing is galvanized steel, and it looks tacky. Decide to paint it copper. 10:45 a.m. Finish prep work for paint. Read label to determine drying times before I can handle the painted flashing. 11:26 a.m. 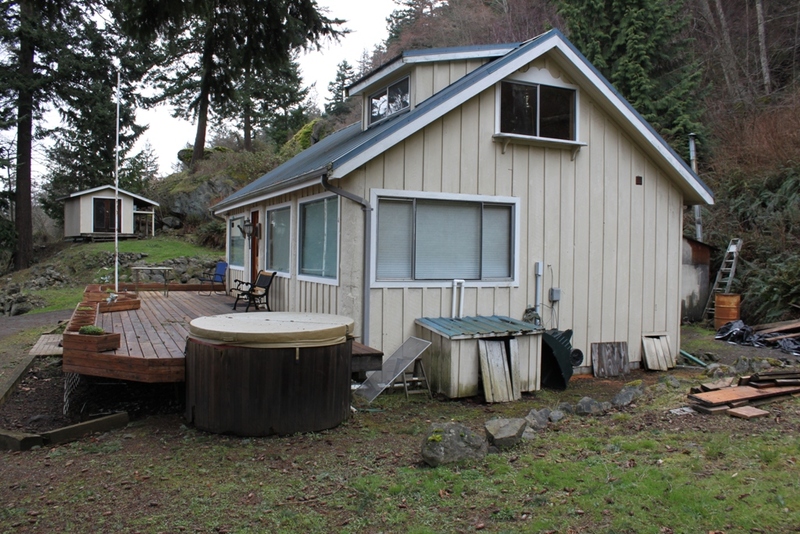 Multiply dry times by six to get the Orcas Island dry time. 1:40 p.m. Use a blow dryer to dry the paint the rest of the way. Don’t care if it works or not. 2:31 p.m. Realize the final trim piece is too wide and must be resawn. Spend 30 minutes picking dried caulk off it so it can go over the table saw without making a mess. 4:04 p.m. Final assembly and weatherproofing of bedroom window is complete. Still need to do touch up paint but we need to wait for warm weather, so that won’t happen until next spring. And we still need to do inside trim but we need to wait until I drywall so that won’t happen until 2015. But the windows are in and are warmer and quieter by far than the old aluminum crap windows we had. Total install time: 3 months. 4:09 p.m. The new windows change the view outside. Which has made me realize I need to do some landscaping out there to make the view look nicer.